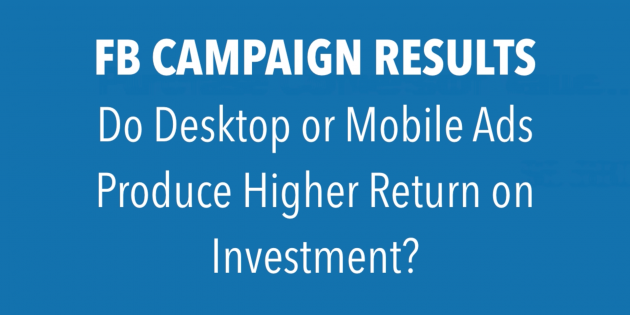 In this video, I dig into the numbers and uncover what ad placement is generating the most profit for a client’s campaign. Watch to see the dramatic difference placement can have on your overall ROI. Thanks James – appreciate your down-to-earth trainings. Do you work with B2B companies in the enterprise IT/tech space? Feel free to email me. Great video tip. Thanks for sharing it with us. Just out of curiosity … what video software do yo use to make these clips? Hey Chris, thanks man! I use Screenflow for Mac. I have a basic question that might be a good source for one of your videos as I have dug around online and seen a ton of discussion related to this – but never really found a great answer – yet . . . . In simple terms why is there such a huge discrepancy between the number of clicks FB reports in Ad Manager and the number of corresponding sessions we see in Analytics. An example I just recently ran into was I came into an ecom account that had paid for almost 4000 clicks via FB ads and then Analytics shows less than 400 visits that it attributes to FB at all – less than 500 from the entire “Social” channel and only 6400 total visits to the site TOTAL (all channels) . . . . This example is probably extreme (10X difference) – but every account I come into seems to have a difference of about 2X-4X – FB shows 2000 clicks – analytics will show 500-1000 sessions attributed to FB? Do THAT many users drop off between ad click and what registers as a session in GA? “Link Clicks” should be close to accurate. Hope this helps.